Section: 66 DEAKIN, which is the site behind the Telstra Building on Kent St, has been refused development approval as a storage facility. A copy of the application and the decision are also available for inspection on the Public Register. The register can be inspected between 8:30am and 4:30pm weekdays at Access Canberra Customer Service Centre, 16 Challis Street, Dickson, ACT. The route on Adelaide Avenue needs closest attention by DRA. The latest the maps from the Canberra Times show light rail not in the middle of Adelaide Avenue but descending to Hopetoun Circuit then rising on the other side. 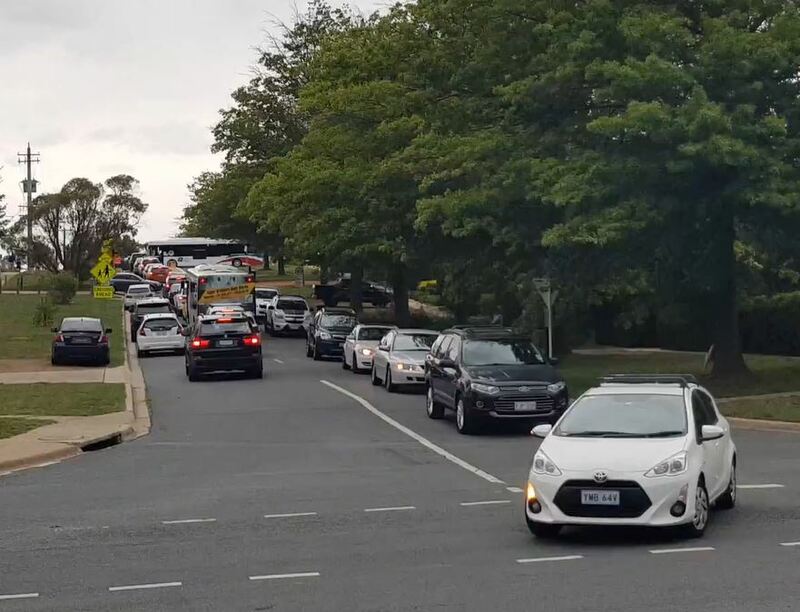 The Hopetoun / Adelaide intersection is already dangerous and complex, especially at school drop off times, let alone when the proposed Aged Care facility is built. Its hard to imagine how light rail travelling in both directions can be accommodated on ramps with cars travelling in one direction. Are traffic lights planned? Then what happens at Novar /Kent St intersection with Adelaide Ave. How does light rail fit with plans for an interchange to pass traffic to the Molonglo? 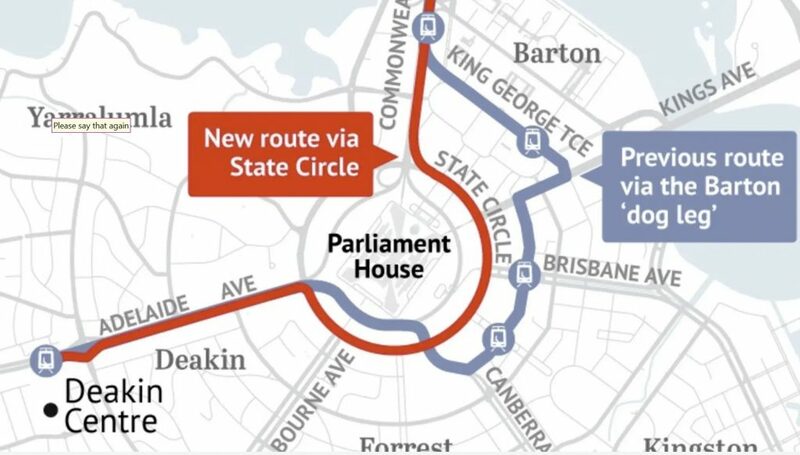 Perhaps the option to avoid light rail disrupting traffic flows is the laying tracks down the middle of Adelaide Avenue, (or the exiting bus lanes) but that means the route via Capital Circle, not State Circle, with even less chance of it being used. These matters need to be incorporated in a thorough cost benefit analysis is needed that considers these issues before Stage II proceeds. DRA also believes light rail must be part of an integrated transport plan that follows agreement on the extent of proposed infill along the route such as the Deakin Mint ovals and Curtin horse paddocks. DRA remains concerned about the impact of light rail on the heritage values of the Parliamentary Triangle and the Lake. We note Jack Kershaw’s option of another lake bridge along lines of Burley Griffin’s original proposal. an additional basement with a net increase of fifteen spaces on site. This will reduce the demand for parking on adjacent streets and around the Deakin shops from staff and visitors. This concession has involved some redesign, including a new level of basement parking, and will involve significant additional costs for the developer. a reduction in the number of day care patients from forty to twenty. will reduce traffic to and from the facility in periods when school traffic is significant. The trade-off for this change is a possible additional three-beds. changes to the Hopetoun Circuit end of the building which result in the planting of a row of large evergreen trees to hide the facade and reduce the visual impact of the building. The facility entrance on Hopetoun will deleted. this will be a raised crossing which will also serve to slow traffic. the speed limit is proposed to be lowered to 40 k between Adelaide Avenue to just past (and into) McGregor Street. pedestrian safety islands are proposed in Gawler Crescent and Grey Street. DRA is to be involved in consultations on all these changes. DRA expects to be involved. Overall the outcome reduces the building capacity, reduces its traffic and parking impacts in the suburb, provides additional landscaping on its surrounds which will make it less intrusive in its suburban setting and lays the groundwork for significant improvements in pedestrian safety and other road users in Hopetoun Circuit as well as for further negotiations with the ACT Government for a workable solution to the traffic chaos on Grey Street in school peak periods. In addressing resident concerns about this facility, the DRA has been advised by Ted Streatfeild of Resolution Planning and Alan Bradbury of BAL Lawyers. The negotiated outcome has avoided further major legal costs. While we did not get everything we argued for, the result is a major improvement on the original proposal. The decision is at the link. The DRA would like to thank those who contributed to the costs involved in challenging this development. Should DRA oppose the suggestion? We note that Labor proposes that Red Hill be moved to Murrumbidgee. There are no suggestions to change for Yarralumla. We have until 18 March to comment on these and other proposals. 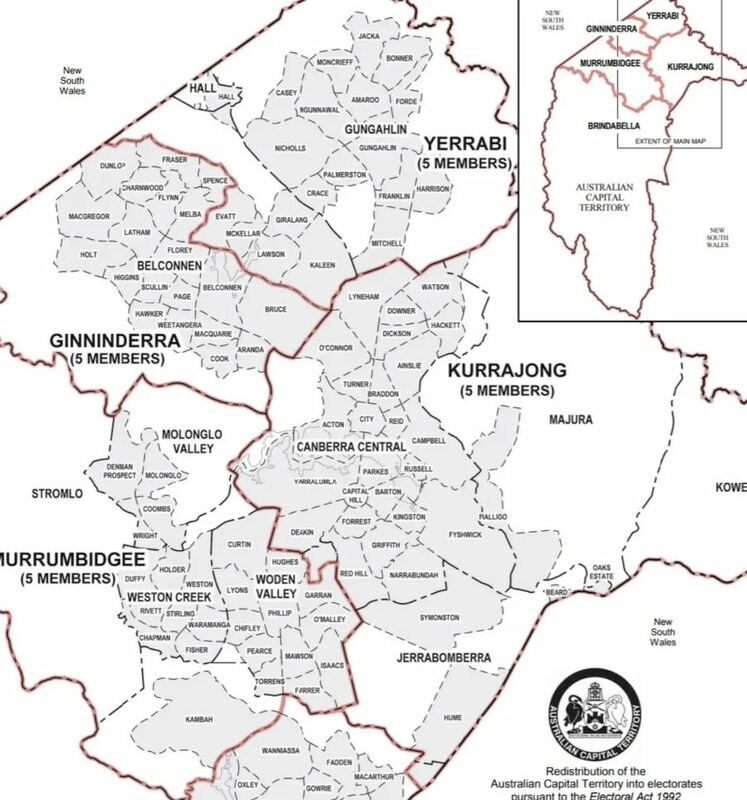 The DRA committee believes there should be no change in electoral boundaries as the projected Kurrajong population in 2020 is still within the acceptable range for the size of an electorate. While it may make political sense for the Liberal Party (and moving Red Hill would deliver advantages for Labor) it does not make geographical sense for Deakin residents or for gaining traction on issues relevant to the residents of Deakin and on which DRA would be looking for representations by our local members. Deakin is geographically part of the inner south of Canberra. Deakin is a unique garden suburb with strong heritage issues similar to surrounding suburbs and unlike many of those in the Woden area; a major issue for Deakin is preservation of its historic garden suburb status. Deakin hosts a number of national institutions such as embassies and The Lodge. It is a varied suburb and less a dormitory suburb like Garran, Hughes or Curtin. Many issues in the Molonglo Valley are different. Deakin is bounded by two National Avenues (Adelaide and Melbourne) with heritage issues relevant to that status; unlike suburbs in Murrumbidgee. It adjoins the nationally significant National Parliament and the Central National Area. Deakin and Yarralumla have very similar planning and resident issues and interests and should be kept in the same electorate. How can more walking and cycling be encouraged? Would you like to see the speed limit reduced to 40km per hour in residential areas? Would you support an expansion in the use of drones as delivery vehicles, and other new technologies such as self-driving cars? What kind of “multi-modal” development would be appropriate around the railway station in Kingston? exceeds current plot ratios, i.e. it is too big for the site. Two committee members have donated substantial funds to cover DRA costs. However, without further funding we will not be able to get the legal and other professional support we need to continue the case on behalf of the Deakin community. The next stage is mediation. To limit costs, we plan to represent ourselves but advice will still cost around $5,000 –$7.000. We are seeking donations to help the case? Our bank account is BSB 633108 Account # 145088969. Depending on the outcome of the mediation, we anticipate substantial subsequent legal fees for the final stages of the Tribunal hearing. We are a resident organisation with very limited funds and we should not have to pay to protect the amenity of residents from decisions by Government agencies. But we have no choice. We are not against aged care facilities, or redevelopment of the site, but what is the point of rules and codes if they are breached? Failure of regulators to regulate is very much in the news. We believe ACT buildings codes and National development plans are being similarly overlooked. urban forest and make a huge contribution to the well-being of the city. DRA has identified members interested in working to save the trees. Would you like to join. Griffith Narrabundah Community Association has written to Government ministers seeking their assistance. DRA supports the action. o Consultation across all sectors of the ACT Government and the National Capital Authority as well as the key stakeholders including proponents of Deakin section 66 and at the Federal Golf Club. o Independent traffic analysis has been undertaken. o Next step to take feedback from these meetings and update options and analysis and come back to stakeholders in early February 2019. EPSDD will work toward a draft Integrated Plan possibly for April 2019.
o The core study area – all blocks adjacent to the Red Hill Nature Reserve and the surrounding open space network. o Values, links and corridors on surrounding open space network and leased lands. § A thoroughfare linking Brereton Street with Gowrie Drive would create a significant rat run. o Bushfire risk – is problematic for leases adjoining the Red Hill Nature Reserve including; Deakin section 66; parts of the Federal Golf Club and its sole access along Gowrie Drive; residential low density areas adjoining the nature reserve. o The established low density settlement pattern of areas surrounding the nature reserve and potential for increased edge affects limit development potential in the area. § Deakin office park and community facilities allow a range of uses for which there are current development applications in train. § Deakin section 66 could be developed for a uses permitted under the current TSZ2 services zoning including storage facility, waste transfer stations and the like. § Significant mixed use residential development at Deakin section 66 provided the constraints relating to bushfire, traffic, ecological values and the old Deakin tip are addressed. § Include Deakin section 66 into the Deakin office park area with limitations on residential development on the site provided the constraints relating to bushfire, traffic, ecological values and the old Deakin tip are addressed. § The Federal Golf Club could explore development at another location on the site with alternative access of Kitchener Street. o The Prime consideration /objective relates to the preservation of the Red Hill Nature Reserve and any impacts on it. o The broader context has been considered (and largely related to if certain options might be pursued). o Weeds and management of weeds in the Red Hill Nature Reserve is a fundamental consideration for the protection of the values of the reserve. o Ecological values – have been mapped within the area of the Red Hill Nature Reserve as well as the identification of key values, links and corridors outside the reserve. § The scale of development was discussed including – height, number of units (scale) and location (siting). GAHRAG will forward some considerations of this. § preference is for Gowrie Drive as is or closed. DRA has learnt that the Development Application for the Aged Care Facility in Grey St was approved in March 2018 by both EPSD and the NCA and that work is due to begin ‘early in the New Year”. See a copy of the decision approval. DRA did not get a response to our submission on parking, traffic and apparent breeches of codes and rules before the proposal was approved. EPSD has said “they didn’t know what had happened but suggested that the person concerned may not have been familiar with the procedure”. EPSD ‘appreciated’ the problem and that DRA had the right to access the ACAT process. DRA has also learnt that expansion of the CGGS Junior School and the Early Learning Centre next year are likely to increase vehicle movement and parking by approximately 75% for the ELC and 25% for the Junior School. John Bell and Di Johnstone are leading our scrutiny of these issues and potential impact on our suburb. If you would like to support their work, you could contact John on 0438732953. The Report by George Wilson that was presented at the AGM is available at past year 2017_2018. The report also raised a number of more positive activities for DRA so as to avoid appearing only to being a brake on what we see as inappropriate building and other developments. Copyright © 2019 Deakin Residents Association. All Rights Reserved.